For about the last decade or so, my friends and I have had ticket plans for the IronPigs. We started off with 9 game plans — one plan per person with three people attending. We’re now up to four 18 game plans, with six people in the mix. It’s been a great stress reliever, particularly in the late spring and early summer when the intersection of baseball, softball, Boy Scouts, band, jazz band, and Seeing Eye have our family running at 200% for weeks on end. 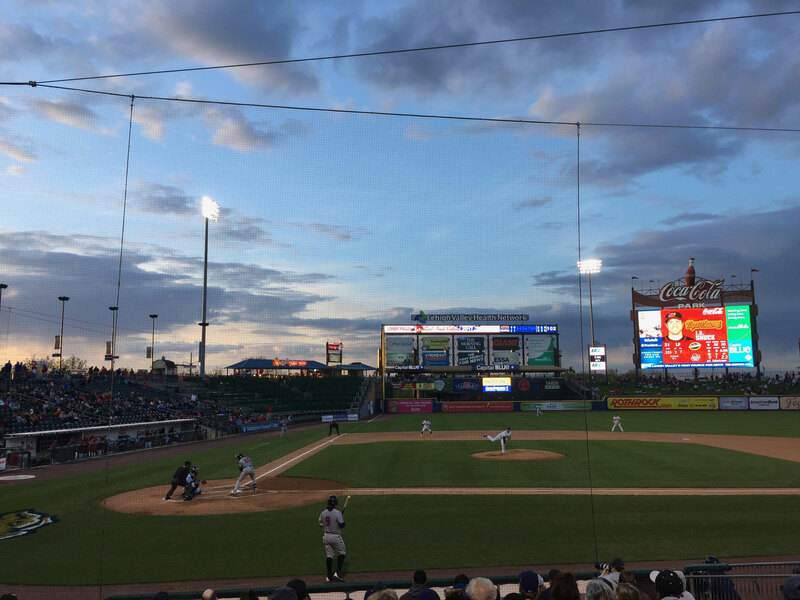 I got back to the IronPigs a little later than normal this year because Opening Day was rained out and my April was too packed for baseball. May, however, was a little better and saw me returning to Coca-Cola Park for my inaugural Shocktop beer. Back at Coca-Cola Park for my first game of the 2017 season. Credit: Ken Newquist.